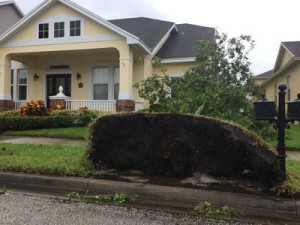 BROWARD COUNTY, FL – Broward County Building Code Services urges consumers to be cautious and be sure to hire licensed individuals and companies to handle post-hurricane repairs, clean up, tree removal, etc. Following a disaster, the demand for qualified general contractors, tree trimmers and landscapers, and specialty contractors usually exceeds the supply, opening the door for unlicensed and/or in-experienced contractors or rip-off artists who may overcharge, perform shoddy work or skip town without finishing the job. Because many legitimate, licensed home repair companies are booked for months, anxious homeowners, eager to repair their property, often neglect to take the usual precautions when hiring contractors. To avoid unnecessary hassle and extra expenses and to ensure that home repairs are done correctly and to code, follow these tips: Verify the status of a contractor’s license: For county-licensed Contractors and Tree-Trimmers, search online or call (954) 765-4400, Option 2. For state-license contractor, check with the Florida Department of Business and Professional Regulation (DBPR) – Check if the contractor is licensed to per-form the type of work you need and if the license has been revoked or suspended. Check if any complaints have been filed against the contractor.- Watch out for anyone who approaches, unsolicited, about tree trimming and/or removal. – Obtain multiple written estimates from contractors and tree trimmers and ask whether debris removal is included in the estimate.- Report unlicensed activity in Broward County by calling (954) 765-4400, Option 2. Report unlicensed activity to the Florida Department of Business & Professional Regulation. If the contractor’s license is current and active, you should: Check for proof of insurance and verify with the insurer that the Contractor’s insurance is current. Never pay the full amount of a repair up front and hesitate before providing large deposits.- Read entire contract, including the fine print, before signing to ensure it includes the required buyer’s right to cancel language. Understand cancellation rights and penalties you may experience for cancelling. Ask the contractor for references. Check out work performed by the contractor. Verify how long the contractor has been in business. You can verify this information with Florida Division of Corporations. Check the contractor’s reputation with local suppliers. Check with Broward County Building Code services or the city building department where the work will be done for the contractor’s ability to pull permits. Do not sign a certificate of completion or make final payment until you are satisfied with the work performed. The state of emergency is still in effect which means Florida’s price gouging law applies to anyone who sells essential commodities or provides essential services to our consumers. To report any scams to the Florida Attorney General’s Office, call (866) 9NO-SCAM. Please refer to the following links for additional information to protect you and your property: Broward County Search for Contractor License- Florida Department of Business & Professional Regulation- Florida Division of Corporations- City Building Departments Contacts- Consumer Helpful Tips- How to Select a Contractor- Report Unlicensed Contractor Licensing Activity- Find or Verify and Arborist- Report Unlicensed Tree Trimming Activity- Broward County Call Center- Florida Office of the Attorney General- Broward County Hurricane Irma Updates.